Donald McIntosh was educated first at the parish school in Tomintoul, then at Keith Grammar School and finally at Aberdeen Grammar School before entering the University of Aberdeen. He graduated with an M.A. in 1890 and, in the same year, was appointed as a Teacher at George Watson's Boys' College in Edinburgh. He taught there until 1899 when he was appointed as Head of Mathematics at Edinburgh Ladies' College. 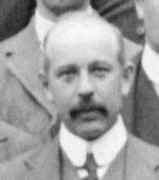 In 1918 McIntosh was appointed Director of Education for Moray, working from the County Education Office in Elgin. In 1932 the administrations of Moray and Nairn were combined and McIntosh took over as Director of Education for Moray and Nairn, based in Tomintoul, Banffshire. He reached the age of sixty-five in the following year and retired. He then went to live in Glenavon, Boat-of-Garten, Invernesshire. We have explained that McIntosh served as Head of Mathematics at Edinburgh Ladies' College, but mathematics was not his only academic interest. He was also interested in marine zoology and took a B.Sc. in this subject at the University of Aberdeen in 1906. He undertook research in marine zoology and was awarded a D.Sc. from the University of Aberdeen in 1912 after submitting a thesis Studies on Echinodermata and on Variation. McIntosh was a member of the Edinburgh Mathematical Society, joining in December 1895. He continued as a member throughout his career. He served the Society as secretary from 1899 to 1904 and was then honoured by being elected as president for session 1905-06. He was also a fellow of the Royal Physical Society and was elected to the Royal Society of Edinburgh on 2 February 1903, his proposers being John Sturgeon Mackay, Sir Francis Grant Ogilvie, Sir John Murray, Alexander Morgan. An obituary, written by James Ritchie, appears in the Royal Society of Edinburgh Year Book 1958, pages 40-41.